Head east past Brighton Pier and the Brighton Wheel until you get to Brighton Marina. Once at the marina, carry on straight, round the back of the marina, here you will see the white cliffs that lead all the way to Dover. The Undercliff Walk is a path that runs along the foot of the cliffs and runs for about three miles. It is called a “Walk” but you are allowed to cycle on it, it’s just pedestrian priority. The Undercliff will have you believing you have been transported to a foreign country. Majestic white cliffs on one side and the English Channel on the other side and not a hint of traffic anywhere. 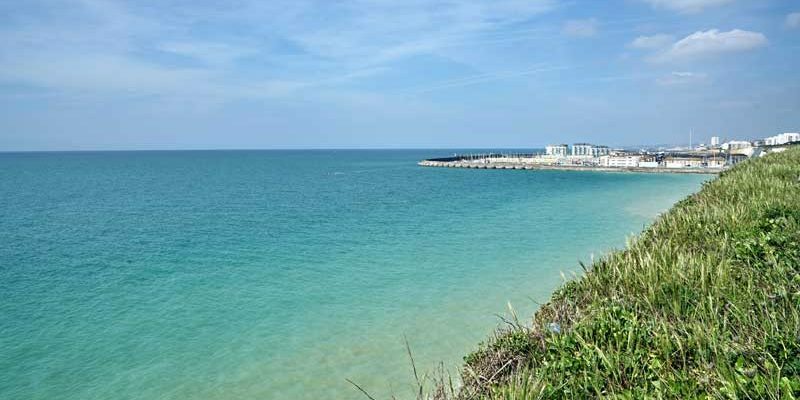 Stop halfway at Ovingdean for a tea and cake stop at Jane’s Cafe. All homemade cakes, take your tea and cake out on to the beach, it’s a great sun trap at the bottom of the cliff face. 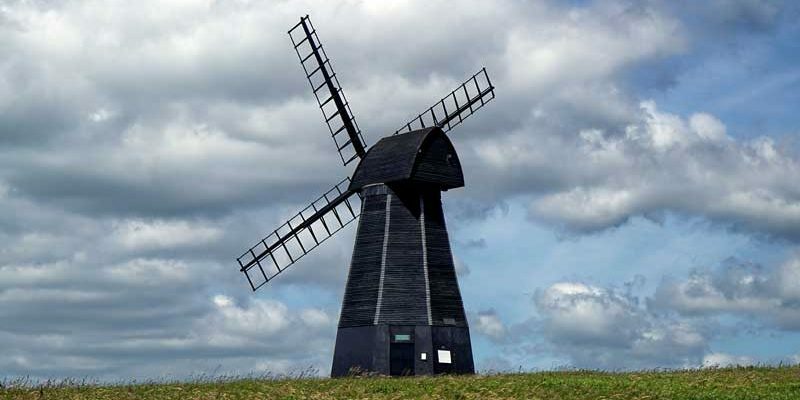 A little further on is the historic village of Rottingdean, a former home to Rudyard Kipling. 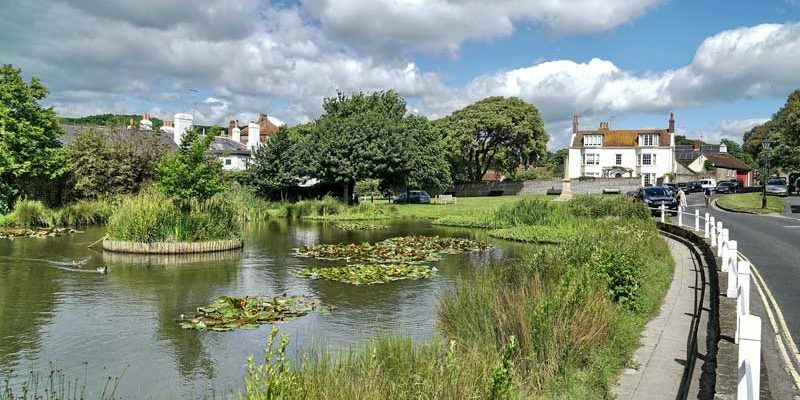 You can visit Kipling’s Gardens, stop for cream tea or lunch overlooking the beach. Other things to note on this route. 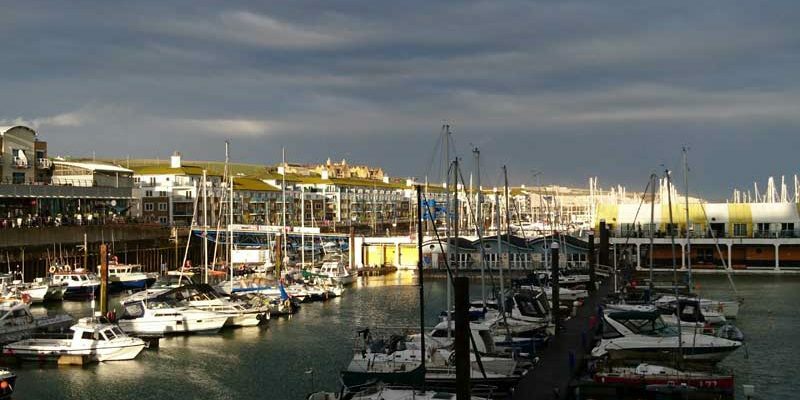 Brighton Marina has lots of restaurants and facilities for all the family, as well as naturally, lots of boats. The cliff tops are great for views out to sea but the cycle path up there runs right alongside the road, so not as idyllic. 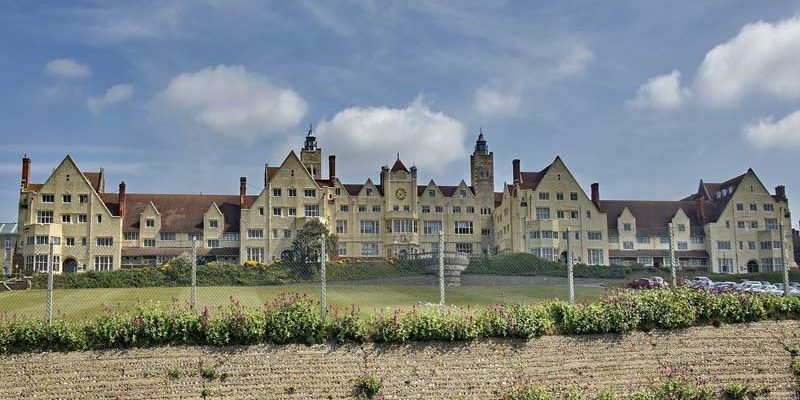 You will pass the world famous girls school at Roedean here though, the original St Trinians. The Undercliff actually finishes at Saltdean, the home of the Saltdean Lido, an art deco lido that will be restored in the coming years. 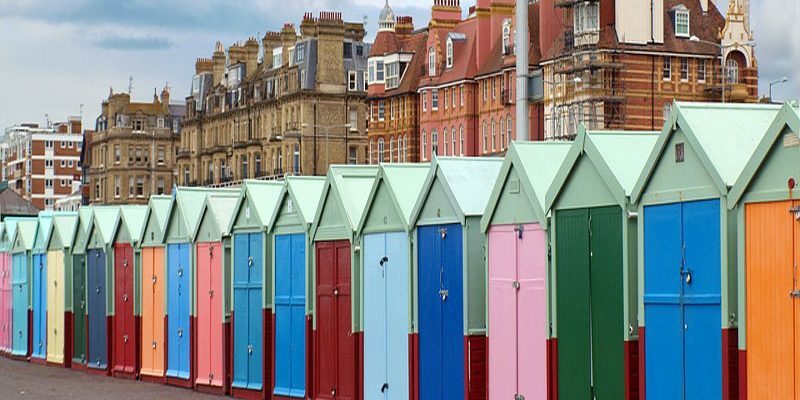 To the west lie the colourful beach huts, regency buildings and grand lawns of Hove seafront. Make your way through the crowds of central Brighton seafront, towards the West Pier they start to thin out. 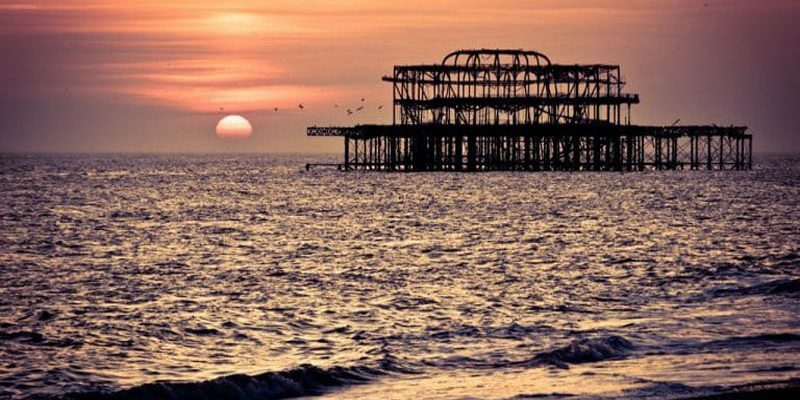 The West Pier is a listed building, hence why it is still standing in its burnt out state. There is lots of speculation and rumour to how the two fires that started on the pier happened but nothing proved. Past here is the Bandstand. The Bandstand has been lovingly restored recently and is home to dance classes and weddings as well as live music. The Brighton & Hove boundary is designated by the Angel Peace statue and from here on runs Hove Lawns. The Lawns are where the locals come to relax, exercise and occasionally party with the world’s biggest free beach festival every year, Paddle Round the Pier. Halfway along the Lawns are the world famous beach huts. Each hut is the same colour except for their front doors and they have been passed down through generations of families but they do occasionally come up for sale. Once the Lawns have finished you reach Marocco’s, an Italian ice cream bar and restaurant, the queue here on a hot day is as long as the Lawns themselves. 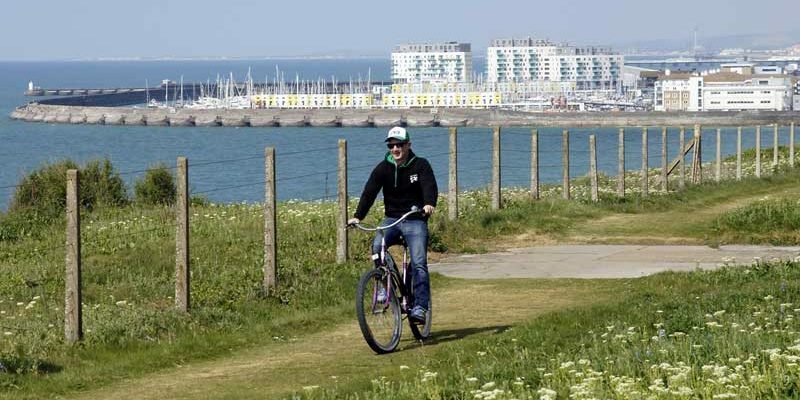 The cycle path will take you all the way to Hove Lagoon water sports centre, where you can kayak, sail or wakeboard on the manmade lake. Here is also Millionaires Row, home to the rich and famous in Brighton & Hove. You can carry on along the Basin Road here to Carrots Cafe and Shoreham -by-Sea. The Basin Road is a quiet road, but it is also an industrial road being part of the port of Shoreham, so not the most scenic of rides. 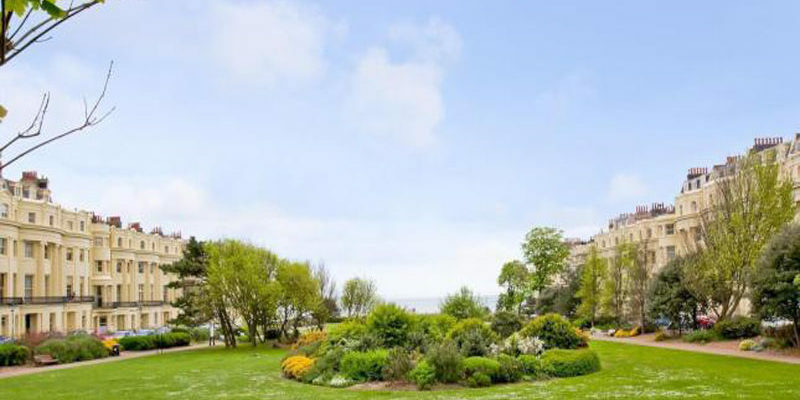 Other things to note on the ride – Look away from the sea and marvel at the Regency buildings that line the Brunswick area of Hove. If the wind is blowing look for kitesurfers out to sea, some of the world’s best can be found here. 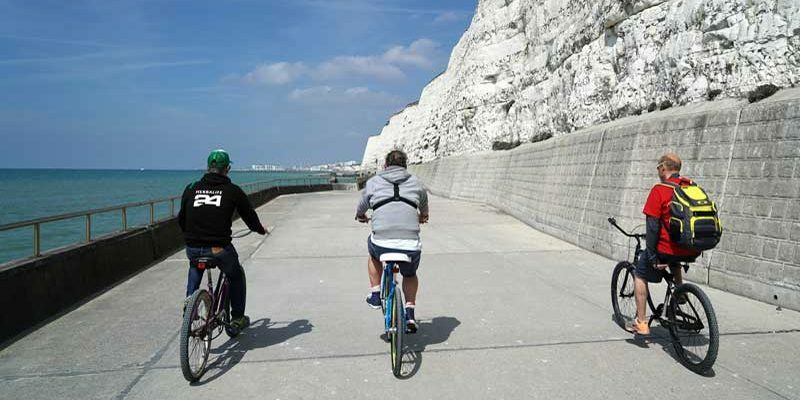 You can cycle through the city centre but Brighton is small enough that it is much more enjoyable to walk through.